CCA Kids Blog: Southern California Families: See Le Petit Cirque on April 22nd For Free! Southern California Families: See Le Petit Cirque on April 22nd For Free! Southern California families, you are invited to two benefit shows by Le Petit Cirque on Sunday, April 22, 2018. 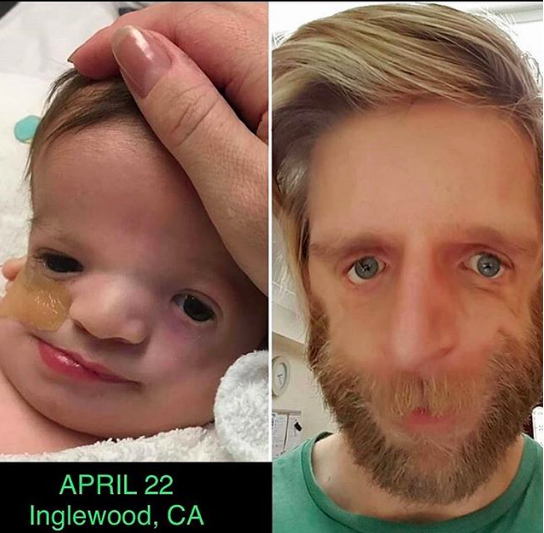 The two performances of "The Magnificient" will benefit CCA and Paul Patrick "PJ" Reynafarje, a sweet new addition to our community recently born with Treacher Collins Syndrome. This one-of-a-kind performance by Le Petit Cirque will feature professionally-trained youth dancers, aerialists, and contortionists, who will perform the great physical feats from Cirque de Soleil shows. Last year, Le Petit Cirque, performed at the 2017 Nobel Peace Prize Concert featuring John Legend. Watch the video to see these awesome kids in action! "The Magnificient" performances will take place at Le Petit Cirque in Inglewood, California on Sunday, April 22, 2018 at 2:00PM and 7:00PM. There will also be several CCA families in attendance plus Jono Lancaster, UK activist and motivational speaker, will be presenting at the shows and mingling with families in attendance. The generous family behind this event are offering free tickets, one per family, to children associated with Children's Craniofacial Association. Currently, the 2:00PM show is very near sold out. Contact Erica Mossholder to inquire about free tickets for the show. PJ and his supportive friends and family will also donate a portion of the proceeds from ticket sales to CCA to help a family attend the Annual Family Retreat and Educational Symposium. To learn more about PJ, "The Magnificient" Le Petit Cirque performance, and to buy tickets, go to the EventBrite Page.